Smashbox Insta-Matte Lipstick Transformer (0.34 oz.) retails for $24 USD ($26 CAD) and is said to be "a gel that transforms any cream lipstick and creates a velvety-matte finish." "Change your favorite cream lipstick to matte—instantly—with Insta-Matte Lipstick Transformer. Created on set to minimize the number of lipsticks Smashbox’s pro artists carried in their kits, this non-chalky gel mattifies any cream lipstick formula into a velvety one, improving its wear without feathering. Its portable design is perfect for giving your lips a makeover wherever you go. 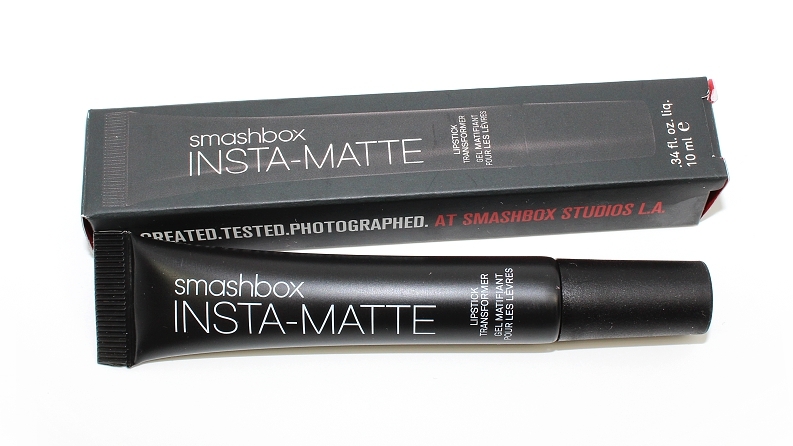 "Smashbox developed this genius mattifier gel to double my lipstick collection on set. I’ll never have to carry an entire collection of mattes and creams in my kit again. "—Lori Taylor Davis, Global Pro Lead Artist"
The packaging is a slim, black tube with a plastic angled applicator, it also had no detectable scent or taste. 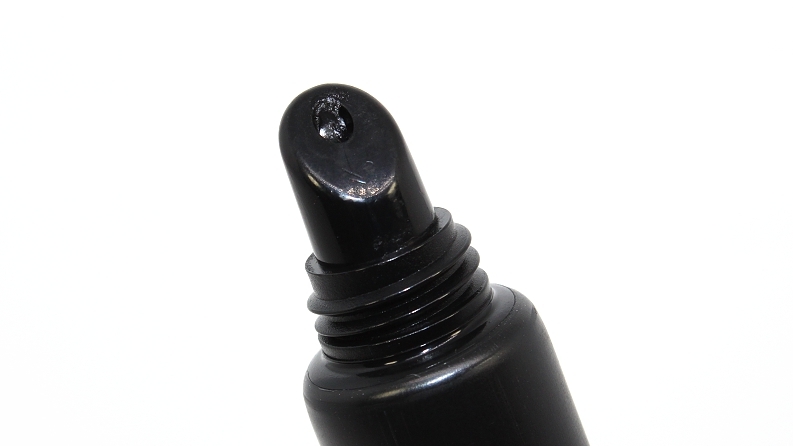 The product itself is a colorless gel that easily transforms any finish of lipstick to a velvety matte appearance. The texture feels soft and cushion-like on the lips, it remains comfortable and smooth throughout wear, you can easily press and rub your lips together—meaning it never sets to a complete, flat matte finish. Application is easy, even with the built-in applicator, but I personally prefer using my finger to smooth and/or dab the product across my lips evenly. I find this helps prevent contaminating the product in the tube with whatever color I'm layering over that day and also to ensure I won't accidentally alter colors with future uses. If you're a fan of matte, ultra matte or liquid lipsticks than this product will not achieve what you're used to. While the Insta-Matte Lipstick Transformer does blur away shine, the product remains creamy on the lips; it can move around and cause product to wear off lips more easily. The velvet matte finish it supplies will be more forgiving, but you won't have the longevity that your more typical liquid-to-matte lipsticks have. Continuing on with the topic of movement, this product claims to "improve wear without feathering" which I didn't find to be true in my experience—creamier lipsticks still feathered regardless of being paired with the mattifying finish. 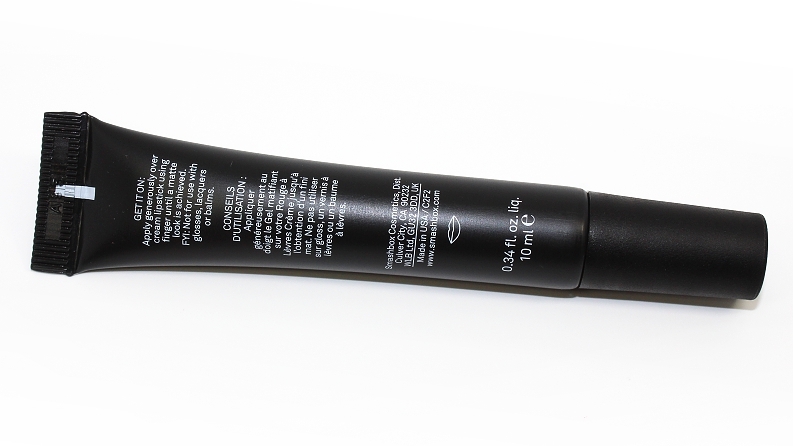 In comparison to the Smashbox Photo Finish Primer, they have a similar consistency and smooth, silicone feel to them; they also contain similar ingredients such as Dimethicone, Dimethicone Crosspolymer and Tocopheryl Acetate. While the Photo Finish Primer does contain a much longer list of ingredients (mainly hydrating properties, vitamins and antioxidants) it's enough to leave you wondering, "Will they work the same?" 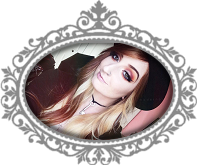 Both products layered over lipsticks easily and provided a blurred, velvety matte finish—depending on the initial lipstick, one can provide more of a matte finish than the other at times. The Photo Finish Primer had more slip and would always cause color/product to wear off much faster. On the other hand, the Smashbox Insta-Matte Lipstick Transformer felt softer and more cushiony, but would occasionally cause the color to ball up or "pill" on the lips. 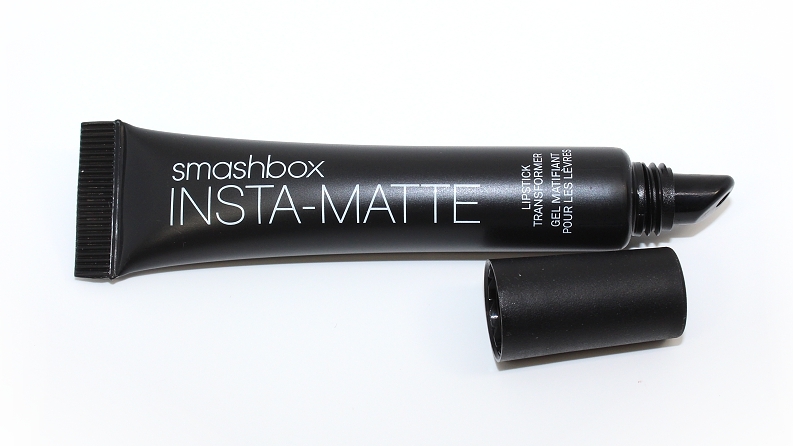 For better results throughout the day, I would personally go with the Smashbox Insta-Matte Lipstick Transformer; however for quick fixes or photoshoots, you could certainly get away with using the Photo Finish Primer. With both methods tested out, for a true matte, long-lasting finish that mimics liquid-to-matte lipsticks, applying a translucent powder over any lipstick using a sponge is still the best way to achieve that matte look—it does feel more drying on the lips, but your lipstick won't move around or wear away quicker. 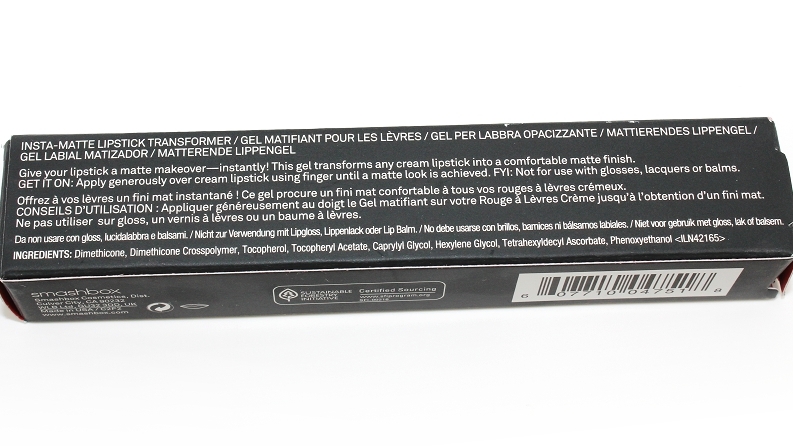 Overall, this product does lives up to the claim of transforming any lipstick to a more mattified finish. 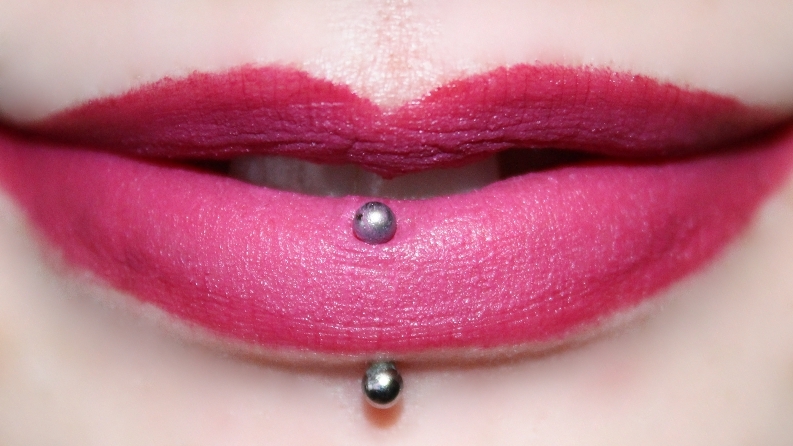 While it does cause lipsticks to wear off faster than they typically would when worn alone, it's a great versatile and affordable product, as it allow two finishes out of one lipstick. I can see this being very appealing for those with smaller collections that want more options, or a helpful item for make up artists to cut back on the amount of products in their kit—regardless, this item is worth checking out!